o dine with The Chicken Rice Shop is to rediscover the wholesome taste of Hainanese and Malaysian cuisines. We take pride in being truly made in Malaysia with our chain of HALAL family restaurants that serve guests throughout the region. Yet, staying true to our promise of 'Chicken Rice...and More', our menu also features more than 25 other local favourites such as our Hainanese Curry Chicken, Special Penang Chai Boay (Spicy Mixed Vegetables), Famous Stuffed Fish Balls and Penang Rojak just to mention a few. 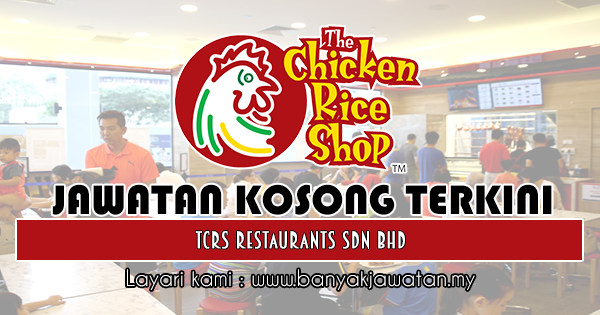 0 Response to "Jawatan Kosong Terkini di TCRS Restaurants Sdn Bhd - 6 Februari 2019"